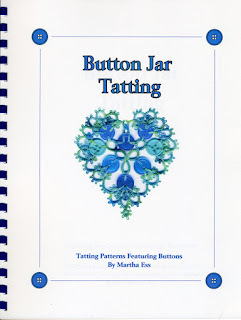 Martha's Tatting Blog: NOW AVAILABLE! I think I've got the PayPal buttons set up OK now. Please let me know if you have any difficulties. See below for previous post for more details. Click the Books For Sale tab at the top of the page for instructions to order. I am happy to autograph the book for anyone who asks, though I warn you my writing is awful. There is supposed to be a "comment to seller" spot on the Paypal site, but it doesn't seem to work for everyone. If you can't do it that way, then please send an email to essm at bellsouth dot net or leave a comment on the blog. Comment notification is working again, yay! Hi, Martha! I just ordered your new book, and I'm really looking forward to it! I think because of the way my PayPal account is set up, the comments to the seller are not available. I hope you'll be able to autograph it for me! I don't know why some people can enter a comment and some cannot. Thanks for letting me know to autograph it. Just purchased your book, unable to leave a comment. Please autograph my copy. Thanks. No comment allowed for me either. Please autograph. Thank you. Hi Martha, my copy has arrived safely here in the UK. Off to find buttons now!! 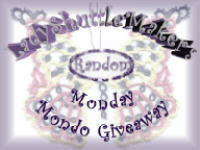 Love the pendant!!! First on the list!